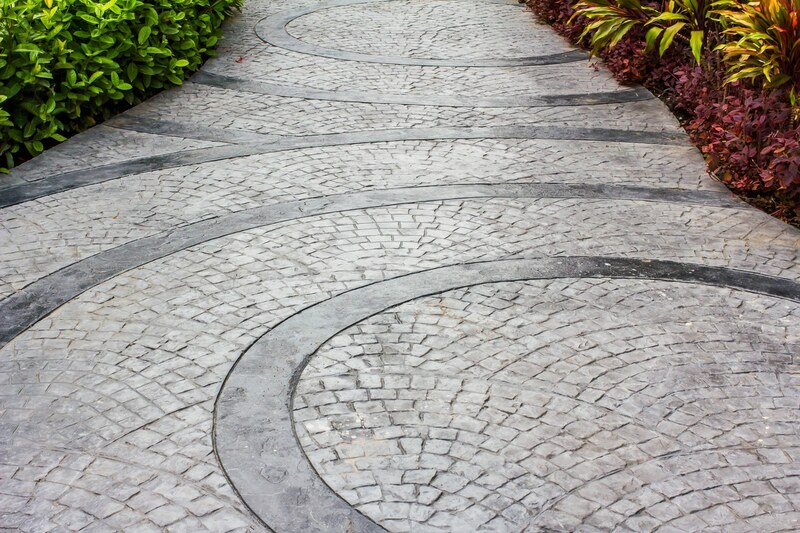 Slate concrete is the perfect choice to add a dash of elegance to any outdoor area. Not only does it make for a stunning luxury finish, it will also add real value to your home and can be achieved with any budget. Slate impression concrete is made by blending the texture and beautiful designs of slate with the strength of concrete. This means you get the high-end look and wow factor with a strong and durable material that will last forever. It is easy to wash and maintain so you don’t have to spend hours looking after it. Not sure what you want? our concrete specialists have been creating amazing slate concrete designs for homes in Melbourne for over 20 years. Tell us what you’ve got in mind and let us work with you to bring it out. Or, come in and choose exactly what you want and install it yourself (we’re always here to help out when you need it). Slate look concrete comes in a wide range of colours and textures to your home. Use it for a new patio or pergola, or build a luxurious slate driveway that will make arriving home every day feel that little bit better. Why Choose Everlast For Slate Concrete? Everlast are a family owned and operated business based in Hoppers Crossing, Victoria. We are 100% Australian and employ only the best local tradesmen for the job – every time. We have 20 years of experience in Melbourne creating stunning slate concrete finishes for our customers. If there’s anyone you can trust to turn your vision into reality, it’s the team at Everlast. Our products are manufactured and sourced here in Australia. This means you can always rest assured you’re getting the best materials and workmanship when you work with us. Everlast are more than just concrete specialists. We can assist you with landscaping, decking, fencing and more. Tell us about your next outdoor project and see how we can help – for a cost you’ll love, and service you will remember.